Our goal is to provide new ways to better serve our members with innovative, timely programs and topics that respond quickly to shifting trends throughout our region and industry. Professional Development Events: Meet other HR practioners in person to network and collaborate. Special certification events: Earn credits toward your HRCI credential. Already a member of National SHRM? 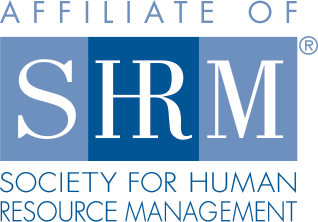 Affiliate your membership with Philly SHRM and get immediate access to development levels across many different types of organizations in the region. Our goal is to provide quality content and development across all career levels. We are looking to identify dynamic speakers for webinars and keynotes for the Professional Development Programs. Submit an application online! We have entry level and student HR professionals looking for information, advice and networking with mentors and HR leaders in their community. We have generalists and specialists in entry level to middle management looking for tactical advice and best practices. These professionals are in profit and not for profit organizations. They are in small, medium and large companies. Finally, we have senior level professionals in small, medium and large companies looking for strategic development and exposure to other senior HR colleagues. We hope to see you at our many gatherings and programs this year. Register now for our incredible line-up of events for the 2015-2016 year! We are looking to identify dynamic speakers for webinars and keynotes for the Professional Development programs. We are asking potential presenters and speakers submit an application online. © 2019 Philadelphia SHRM. All Rights Reserved. Web Design by Push10.